Made in the USA using only American-made material, the green plastic Chartres Intuipath double finger labyrinth design offers the versatility and benefit of owning a finger labyrinth design that can be used as either a one-person, two-handed device (helping to stimulate and balance both the right and left sides of the brain together) or as a two-person, single-handed labyrinth device (to enhance the intuitive communication between two people.) 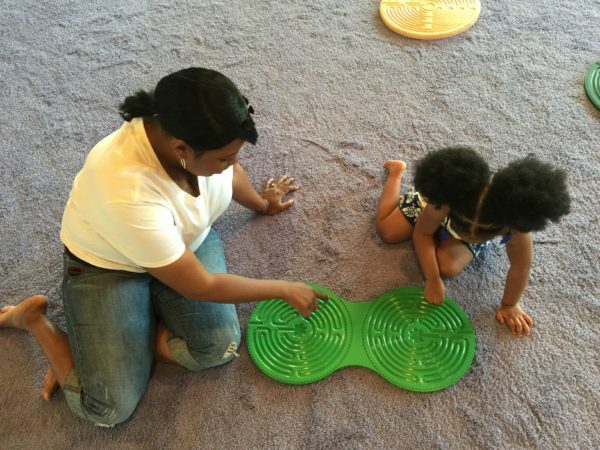 Relax4Life holds a patent and trademark on the green plastic Chartres Intuipath double finger labyrinth design. As a one-person, two-handed design, both sides of the brain begin to work as one and enhanced relaxation and creativity often results. There is also some indication that working with this pattern may assist functioning in conditions such as ADHD, Dyslexia, Parkinson’s, Alzheimer’s, Stroke etc.). Relax4Life completed a four-year national research study to determine the behavioral benefits of using an Intuipath® with children diagnosed with ADHD. To read about the study and see the findings, Click Here. 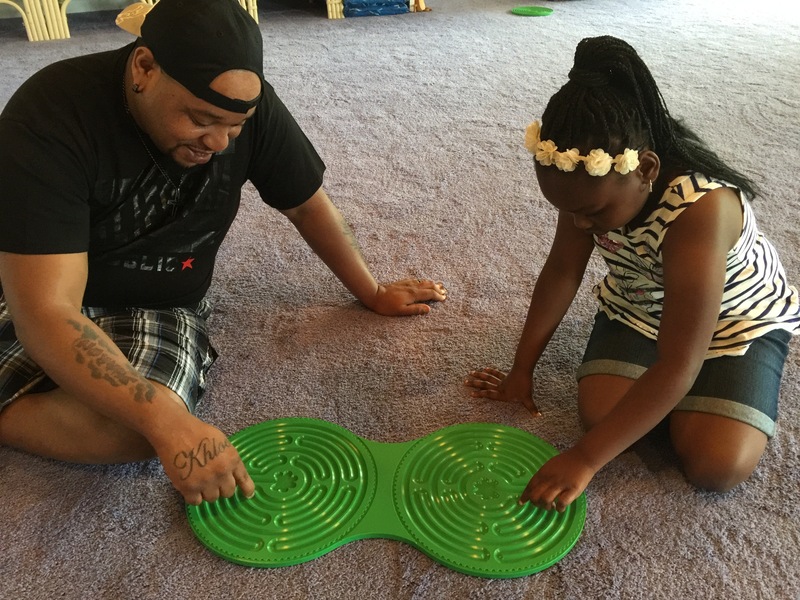 Using the green plastic Chartres Intuipath double finger labyrinth as a two-person design offers a way for the usual barriers to effective communication (in both casual and formal settings) to break down while enhancing the intuitive connection between folks. This happens through improved mental relaxation and focus on the part of both participants. On the back of each green plastic Chartres Intuipath double finger labyrinth design is a notch for hanging. Click here to read articles on the Intuipath® concept. Click here to read a blog from a school consultant about the benefits of finger labyrinths and Intuipaths®.